Topaz’s Service Entrance Kenny Clamp is designed to be used as a grounding and bonding connector, to bond a grounding electrode conductor to metallic conduit, panel boards, switchboards or transformer enclosures. 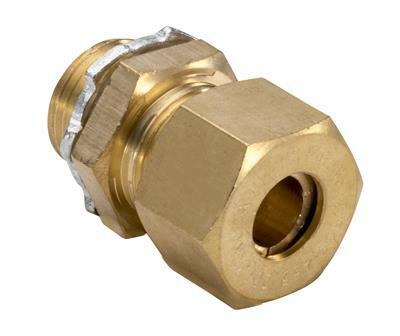 Fabricated of brass in sizes from 3/0 stranded to 8 stranded, with 1/2” knockouts. UL listed.